Space flight is dangerous and not just for the astronauts. Over the hundred plus years of rocket technology and space flight growth, many have died just working on rockets or even testing them, from engineers to flight pad crew to even spectators. Progress comes with a price and with that, measures have been taken and improved over the years to try and prevent such events from happening again. With all the advancements we’ve made, launching rockets is still a risky business. 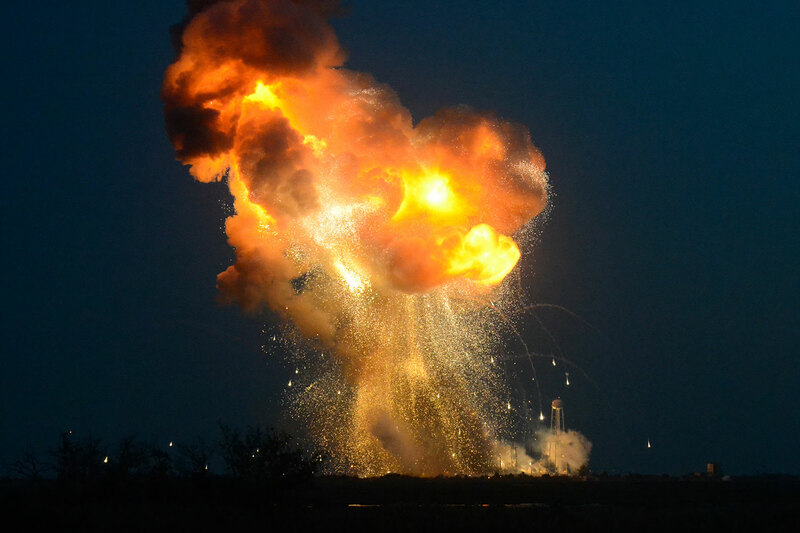 We were reminded of this on Oct. 28, 2014 when Orbital Science’s third resupply flight to the International Space Station came to a fiery end moments after liftoff. The first fifteen seconds of the launch was uneventful before one of the two Aerojet Rocketdyne AJ26 engines in the Antares rocket’s first stage failed, robbing the thirteen story tall Antares rocket of the thrust needed to overcome Earth’s gravity. Early analysis of telemetry points to a failure in the turbopump providing fuel to the engine according to a statement released by Orbital days after the accident. Along with the Antares rocket, a Cygnus spacecraft carrying 2,215 kg (4,883 lbs) of cargo for the astronauts aboard the ISS was lost. This included crew supplies (food and clothing), another third included spare parts for equipment aboard the station, and the remainder was science experiments. Among those experiments were some created by students from around the United States and Canada participating in the Student Spaceflight Experiments Program (SSEP). These fourth graders though undergraduate students were studying everything from creating soil for growing food in space to muscle development in microgravity. That’s the bad news. The good news is that only property was damaged or lost. No one was injured because the Range Safety System and the people who run it did their job. Each launch site has a range safety system designed to protect people and property both near the site and under the path the rocket overflies known as downrange. Launches from the Wallops Flight Facility in Virginia are monitored from the launch site itself as well as another site on North Carolina’s Outer Banks not far from where the Wright Brothers first took flight over 100 years ago. That second view of the rocket’s path allows controllers to better monitor the vehicle without interference from the rocket’s plume. As the flight continues, tracking stations further downrange in Bermuda or the Bahamas take over providing a continuous view as the rocket heads to orbit. Spacecraft and the rockets that carry them are relatively fragile. Overcoming Earth’s gravity isn’t easy. About 90% of a rocket’s weight on the pad is highly explosive fuel. Should a flight go wrong, Range Safety Officers have a very powerful tool available to help protect people and property on the ground: flight termination. Also known as self-destruct, the Flight Termination System (FTS) is to make the path of an errant rocket more predictable by ending thrust from the engines immediately. This is the first line of defense against a failing vehicle and is one of the most highly reliable systems involved in the launch. This is done by strategically placed linear-shaped charges which release a tremendous amount of very focused force. These charges can rip open an engine or fuel tank like a zipper. Remaining fuel either dissipates into the atmosphere or explodes destroying the rest of the vehicle. It’s a sad way to see a highly anticipated launch end, but at least the team knows the debris can land safely inside a predefined zone. The first few seconds of the flight are critical and where most problems occur. This is also the most difficult to track electronically. Since the earliest days of rocketry, liftoff has been observed through a vertical wire sky screen developed by James Van Allen in his work ensuring tests of the V2 and Aerobee rockets could be done safely. A long rectangular frame with 2 or more wires provides a visual reference for the rocket’s path off the pad. Should the Range Safety Office see the rocket touch either wire during liftoff, the command to terminate flight is given. 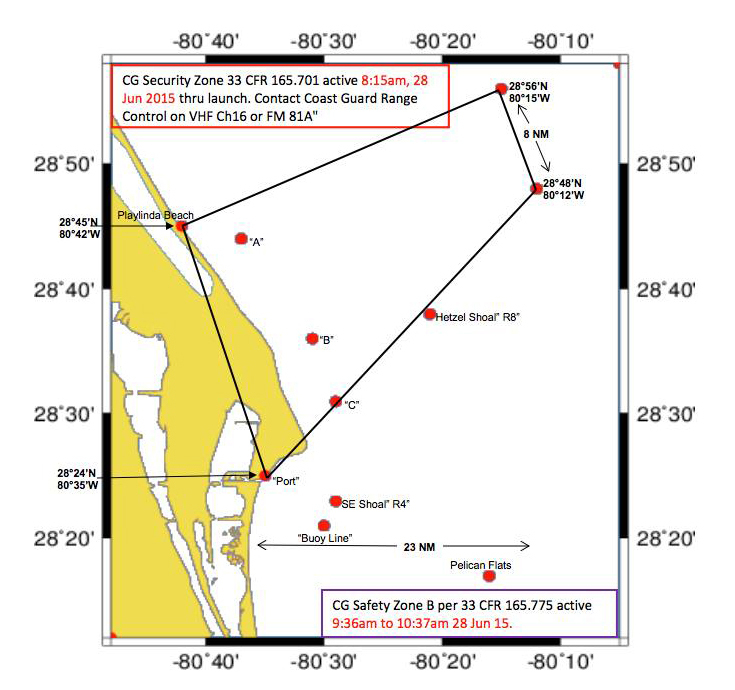 The FAA’s NOTMAR map issued before the SpaceX CRS-7 launch. Once the vehicle is safely off the pad and enters the downrange portion of its flight, all flight termination decisions are based on maps prepared far in advance of the launch day. A new map is drawn up for each launch based on the type of rocket, its engines, fuel and payload. 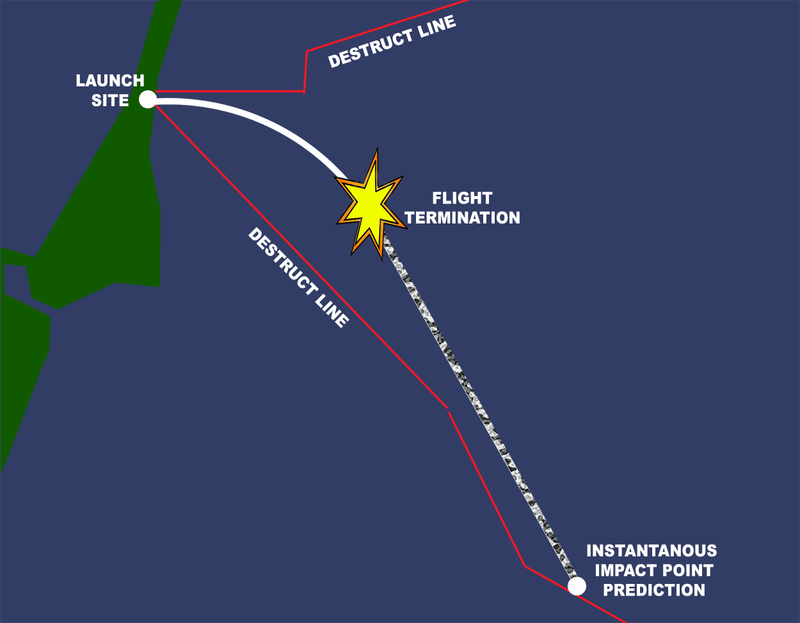 This information helps determine where destruction lines radiating out from the launch site are drawn. Before launch day this information is used to create Notices to Airman (NOTAMs) and Notices to Mariners (NOTMARs) about areas to avoid around launch time. On launch day the United States Coast Guard supports NASA in launches from Wallops Island Virginia, Cape Canaveral Florida and Vandenberg Air Force Base, California in enforcing these avoidance areas. Launches have been postponed or even scrubbed when a small boat ventures into these areas covering many square miles. These represent not just the area where a rocket stage is planed to fall back to Earth but also where debris could fall. The data gathering isn’t through though. 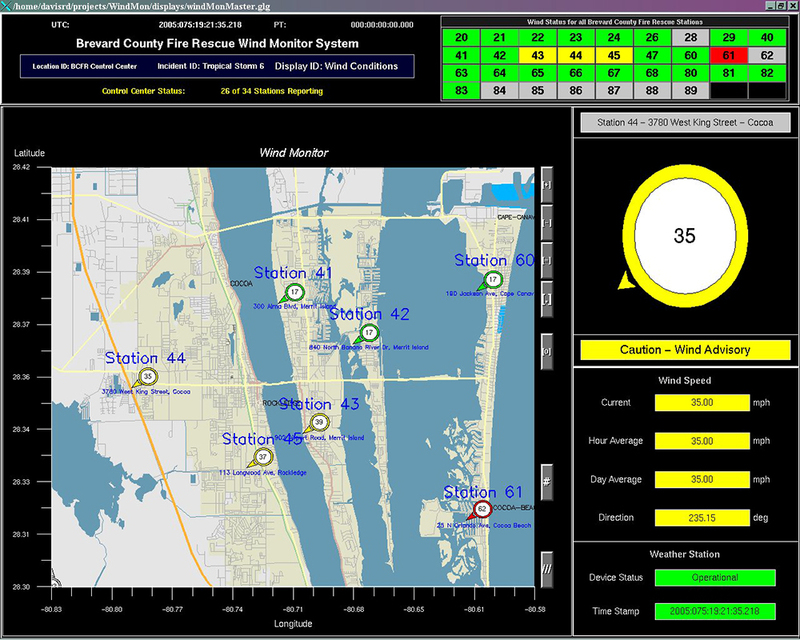 Monitoring weather conditions, especially wind continues up until the launch. While weather conditions near the pad may be perfect, high winds elsewhere in the area or downrange may cause Range Safety to deny permission to launch. This ensures the maps remain reliable. Throughout the launch, Range Safety officers track the vehicle’s position and instantaneous impact point (IPP); an unpowered, ballistic path where debris is predicted to land if the rocket is destroyed at that moment. If the rocket goes off course and its IPP reaches a destruction line, the flight is terminated. This ensures debris lands within a safe zone while giving the rocket every chance to straighten up and flight right either through-automated systems or commands from the ground. 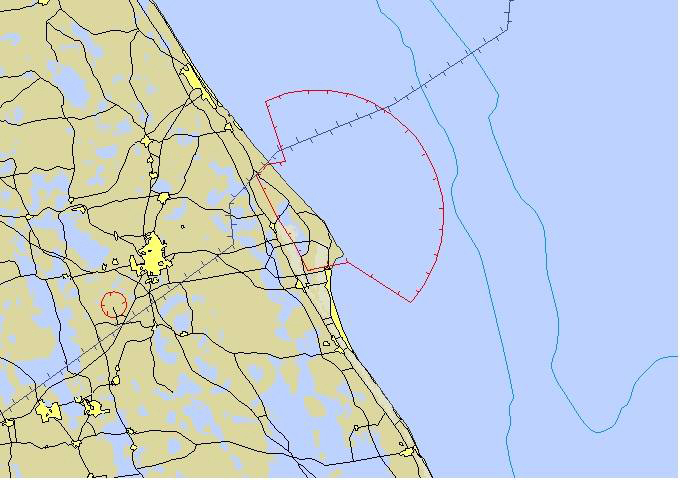 The FAA’s NOTAM map issued before the SpaceX CRS-7 launch. Six months later a Progress resupply spacecraft launched from the Baikonur Cosmodrome in Kazakhstan failed when controllers in Russia lost communication and the capsule tumbled out of control before reentering Earth’s atmosphere 11 days later. In June 2015, SpaceX experienced their first launch failure after 18 successful ones. This was particularly difficult for a group of high school students from Palmetto Scholars Academy in North Charleston, South Carolina. After losing their experiment in the Antares failure in October, they again watched their work destroyed aboard the SpaceX Dragon capsule. Despite the apparent break up of the rocket 159 seconds after launch, flight termination signals were sent 70 seconds later to ensure any remaining components would not endanger anyone. “45th Space Wing Mission Flight Control Officers sent command destruct functions in accordance with Air Force policy and procedures to ensure public safety,” the Air Force said in a statement. The action may have also help disperse rocket fuel harmlessly in the atmosphere making the search for debris safer. When watching in person, from near the launch site or on TV, hearing that launch has been scrubbed because the “range is red” is frustrating. But know that this helps keep everyone on the ground out of harm’s way so that should something go wrong after liftoff, the Range Safety Officers can terminate that flight safely. Learn more about the history of keeping the Eastern Test Range safe in this Air Force film on YouTube.